Gutenberg is a brand-new editing interface that will change the way people use WordPress. Are you ready for that change? If you're a plugin developer, you need to prepare your own plugins for Gutenberg. In case you haven't yet heard about Gutenberg, it is a new WordPress editor that will change how you write content. Under Gutenberg, set to become part of WordPress core in version 5, each element in your content will be a block (of type paragraph, image, blockquote, heading, and so on). Even metaboxes won't be the same. Simple metaboxes should work with Gutenberg out of the box, although they will be displayed differently. However, if you have complex metaboxes such as the one in the Yoast SEO plugin, then you'll have to test it against Gutenberg and maybe create a new one just for Gutenberg. There are two approaches that we can take as plugin developers: support Gutenberg or disable Gutenberg. Supporting Gutenberg would mean that we will put extra effort into refactoring our code (maybe even duplicating some) so that our plugin users won't have any difficulty using it. If we decide to not support Gutenberg, then we need to disable Gutenberg. We can disable Gutenberg completely or only where our plugin is being used. In this section, I will take my own plugin "Simple Giveaways" that has a custom post type and also metaboxes. This is something I would not recommend doing from your plugin. Instead, you might want to inform your plugin users with an admin notice that your plugin doesn't work with Gutenberg so that they can revert back to the Classic Editor. This filter can be found in the function gutenberg_can_edit_post_type which is used to check if Gutenberg can be loaded on that particular post type. If we always return false, then it means that we won't support Gutenberg at all. If your plugin has a custom post type, then you may want to disable Gutenberg for that particular post type. To disable Gutenberg for your custom post type, you can just change your post type configuration. Gutenberg won't load if your post type does not support the editor. This is appropriate if your custom post type does not need the editor. Maybe you need the editor but you don't need it in the REST API? Gutenberg won't load if you don't support the REST API. Similarly to the above example, we will do that in the post type configuration. By setting the parameter show_in_rest to false, we will disable Gutenberg for that post type. We can use the previously mentioned filter to disable Gutenberg only for our custom post type. With this code, we are checking if we are on our custom post type. If we are, then just return false. This won't affect any other post types. If you have complex metaboxes, maybe it would take too long for you to create a version of your plugin that could support Gutenberg. If that's the case, you can disable Gutenberg until you have something that works with Gutenberg. To disable Gutenberg with your metaboxes, you need to define them as not compatible. // Not Compatible. Disable Gutenberg. If you want to learn how to support Gutenberg with complex metaboxes, you'll need to learn how to convert them to a block and also how to save them. Be sure to check the WordPress Gutenberg handbook for that. A better option than disabling Gutenberg is to support it! Since metaboxes will probably work out of the box, you won't have much to do here (unless they're advanced, as we learned before). When supporting Gutenberg, you will mostly work on making new blocks for your shortcodes and even widgets. Shortcodes will also work out of the box. But to provide a better user experience, you should probably make blocks for them. To understand static and dynamic blocks, let's look at a simple example—a simple alert block—and implement it both ways. When registering a script, we need to define the dependencies here. The wp-block and wp-element dependencies are the ones we need when creating blocks. I will not go into a detailed overview of blocks or the API as a whole. To understand this more, you should read the Gutenberg Handbook. Now let's define our static block. Since our alert will be just text, we need one attribute: text. In our edit function (used in the Editor), we will have a RichText block. This block allows us to insert the text, add styles, and so on. The definition of our attribute text will tell the Gutenberg to strip the text inside the div. We are also telling Gutenberg that this will be an array of all child elements. Just for example, this <div><em>em text</em> other text <strong>bold text</strong></div> would convert into an array of three elements: "em text", "other text", and "bold text" along with their structure such as em and bold. The conversion of these attributes happens in the output of the save method. The Dynamic block will have the edit method, but the save method will return null. We don't need the save method here because we will define a PHP callback function to render the dynamic block on the front. This callback will also receive a parameter $attributes. This will be an array of all the registered attributes. The behavior is very similar to registering a shortcode. * @param array $attributes Block Attributes. The output is just a div element with some text. As far as I can tell, we can't use the RichText for dynamic blocks because the attributes don't update. If I am wrong, let me know in the comments! We will use a regular input to enter the alert's text. Since we don't have a save method here, I've defined the attribute text as a simple string. You will see a regular input that has a background color and different styling than the RichText block. Of course, you can change that and mimic the same styles. Preparing your plugin for Gutenberg can be a lot of work. But since Gutenberg is as extensible as the rest of WordPress, you have a lot of flexibility to support your plugin's features in Gutenberg. Get started today by installing Gutenberg and testing it against your plugin. 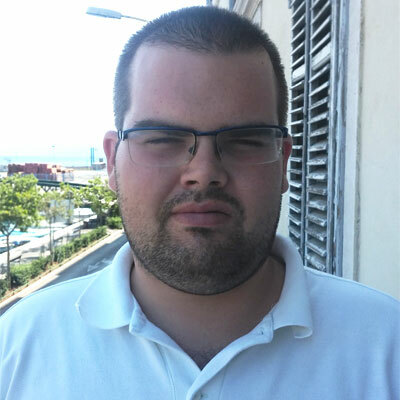 Igor is a developer who loves to teach and learn about WordPress. He has also written several eBooks on WordPress. In spare time he also builds and maintains various plugins.